The American Health Council is proud to honor H. Thomas Aretz, MD for “Best in Medicine” for his outstanding contributions to the medical field. Dr. Aretz maintains an active professional career as he currently serves as the vice president of Partners Healthcare International, an affiliate pathologist at Massachusetts General Hospital and an associate professor of pathology at Harvard Medical School in Boston, Mass. While he has maintained his current roles for six, 15 and 24 years respectively, Dr. Aretz has spent over 40 years in the healthcare industry expanding his knowledge in healthcare education, workforce development and business. Dr. Aretz’s academic pursuit began at Villanova University, where he earned a bachelor’s degree in chemistry in 1972. He immediately enrolled at Harvard Medical School and earned a medical degree in 1977. That same year, he was an acting resident physician at Massachusetts General Hospital, and remained there until 1981, when he accepted a fellowship at the same medical institution. In 1982, he accepted a staff pathologist position at Lahey Hospital and Medical Center, where he remained until 1990. He later moved to Beth Israel Deaconess Medical Center and served as a staff pathologist from 1990 to 1996. During the same time, he served as director and co-founder of Intrasonix, a medical technology start-up from 1985 to 1995. In 1996, he became an associate pathologist at Massachusetts General Hospital, and remained in that role until 2003. When Dr. Aretz accepted an opportunity to lead a major course at Harvard Medical School in the mid-1990s, members of the international education facilities noticed his fluency in the medical field. His brilliance led him to become the director and vice president of Harvard Medical International from 1999 to 2008 while simultaneously serving as director of Captum from 2003 to 2009. Dr. Aretz first became an associate professor of pathology at Harvard Medical School in 1994 and has remained there since. He works in a clinical setting and conducts research as an academic pathologist with expertise in cardiovascular pathology, while delivering lectures to future generations of medical experts. In 2003, he became an affiliate pathologist at Massachusetts General Hospital where he continues to connect with peers and fellow educators. In 2012, he was named vice president of Partners Healthcare International where he consults with international healthcare and educational institutions and systems in educational strategies and workforce development. 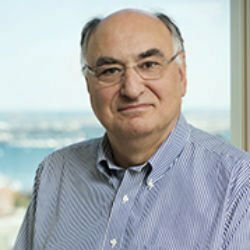 With a fruitful career at hand, Dr. Aretz is proud to have founded or served as director of three medical technology start-ups, extensive international work experience and long-standing committee member for notable task forces at Harvard Medical School. A fluent German speaker, he is also very honored to have been named “Ehrenburger” — honorary citizen — of Ludwig Maximillian University in Munich as well as receive the MILES Award (mentoring, innovation and leadership in educational scholarship). Dr. Aretz enjoys developing relationships with academic medical professionals during his free time to ensure that he maintains positive connections with his peers. He looks forward to continue to improve academic medical systems through his work. Over the past two decades, Partners Healthcare International has partnered with institutions and health care systems in more than 40 countries to build local healthcare capacity and drive transformative, sustainable improvements so that communities across the globe have access to an ever-higher standard of care. Guided by the needs of our patients and their families, Massachusetts General Hospital aims to deliver the very best health care in a safe, compassionate environment; to advance that care through innovative research and education, and to improve the health and well-being of the diverse communities it serves. Named “Ehrenburger” — honorary citizen — of Ludwig Maximillian University in Munich. Received the MILES Award (mentoring, innovation and leadership in educational scholarship).